Located on the Outside Rail on the Backstretch and offering great views of thundering thoroughbreds going over jumps. 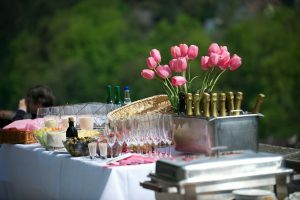 Bring your own food and beverage, visit our food and drink vendors located in the infield or have your party catered by one of our approved caterers. Access to all infield activities. Children 12 & under are free and do not require tickets.